TOWCESTER TAXI AIRPORT TRANSFERS 01908 263263 RELIABLE ROAD TAXI TRANSPORT: Taxi, minicab, PHV, Uber: What's the difference? 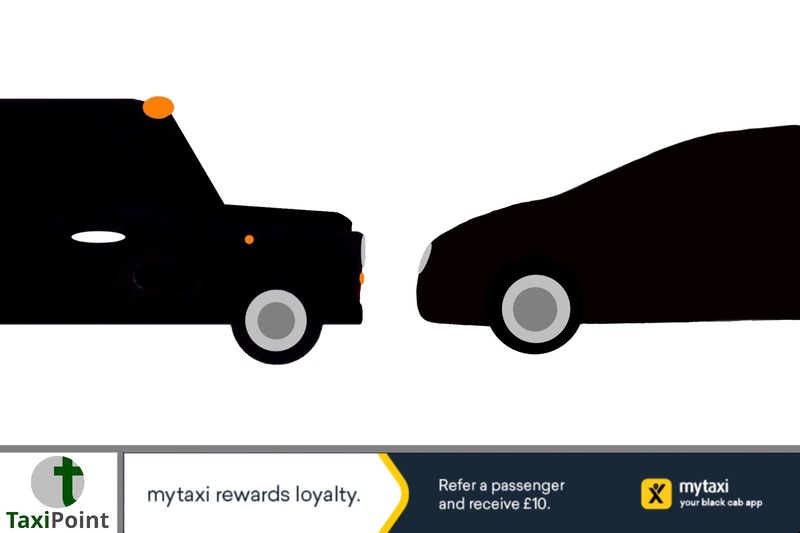 Taxi, minicab, PHV, Uber: What's the difference? It hasn't gone unnoticed by just about everybody from within the licensed London taxi industry, that a massive proportion of the population in the U.K seem to be unable to differentiate between what is a taxi and what is a private hire vehicle. Whether it be journalists reporting on the taxi and PHV industry, politicians legislating on both industries, or members of the public who just wish to travel from A to B, confusion seems to reign supreme as to the differences between the two industries. As of March 2017, there was a combined total of 356,300 taxi and private hire vehicle driver licenses in England. In turn there was a combined total of 281,000 taxi and private hire vehicles licensed in England. These figures are updated every two years by the government. Of that figure of 281,000 licensed vehices, 73% or 205,130 were private hire vehicles, leaving licensed taxi figures running at 27% or 75,870 vehicles in England. As of July 2018 there are 23,608 taxi drivers and 111,097 private hire drivers in London. So what are the differences between the two industries, and why is there so much confusion? The answer is simple the general public lack a basic knowledge of both industries. Sure you will get members of the public who do know the differences, and yes you will get the usual wind-up merchants who will tell you that there is no difference, without having the faintest clue as to what they are talking about, but in the main, it's good old general ignorance that defeats Joe Public when it comes to spotting the differences between taxis and PHVs. A taxi is a hackney carriage, the term black cab is also used, although this is a misnomer given that a massive proportion of taxis aren't Black. As of March 2017, 58% of all taxis in England are wheelchair accessible, in London that figure is 100%, every taxi is wheelchair accessible. In London there are currently 3 types of taxi on the road, the TX series, which is very traditional in its shape and style to its predecessor the FX series, akin to an oversized Mini. We then have the Mercedes Vito, which is a converted Mercedes Vito Van, and finally the LEVC taxi, which is the licensed taxi industry's first zero emission capable taxi. The only way that you can become a taxi driver in London is to qualify, which means you have to pass a vocational series of exams called The Knowledge. This qualification process takes in excess of three years to pass before you can drive a taxi. Taxis are available for immediate hire, are able to use bus lanes and can be hailed off of the street. Taxis can also accept pre-bookings via telephone, radio circuit and app.This applies all over the country. They are unmistakable due to the yellow light on the roof of the vehicle, which says taxi. Now here comes the confusing bit, outside of London, in many areas around the U.K, taxis can be your average "bog-standard" saloon car, with a taxi sign on its roof. In many areas prospective taxi drivers have to do a topographical test, although it isn't as in-depth as The London Knowledge. Outside of London, only around 55% of all of the taxis accross the U.K are wheelchair accessible. Many of the taxis outside of London share work platforms with private hire vehicles, such as using the same apps or radio circuits, it's pretty normal outside of London. A private hire vehicle is also known as a PHV or a minicab. There are no current statistics identifying how many PHVs are wheelchair accessible. There is no vocational qualification required to drive a PHV in London, and any vehicle can be used as a PHV. Minicabs in London cannot carry door advertising and are subject to the 1998 Private Hire Act. Private hire vehicles must be pre-booked and cannot use taxi ranks. It is illegal for PHVs to ply for hire, and they cannot use active bus lanes. Outside of London, the PHVs operate very similarly to their London counterparts, although they do carry more advertising. Uber seems to be the "buzz-word" of the moment, however they are nothing more than a minicab app, no different to "Bobs Cars" in Orpington. So there you have it, the differences between the taxi, the PHV and Uber. Theres now, no excuse for muddling up the two industries.